this post contains amazon affiliate links, see full disclosure here. 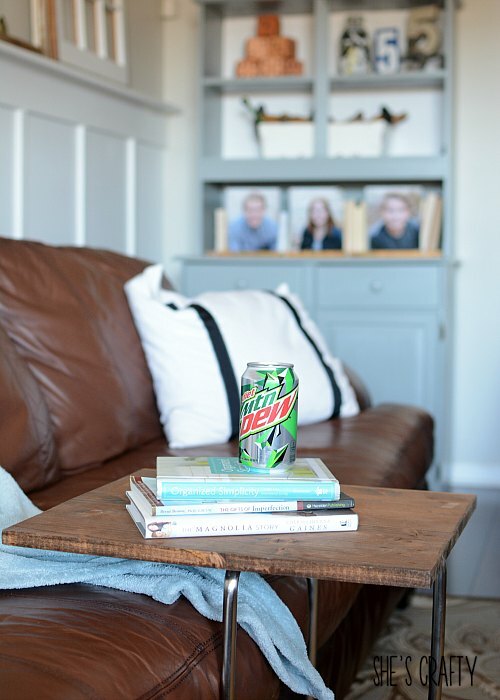 I have a super easy makeover coming at 'cha today- an under the couch side table makeover! I've had a table sitting in my attic for ages. I bought it from IKEA many years ago. So long, that it's not made anymore. 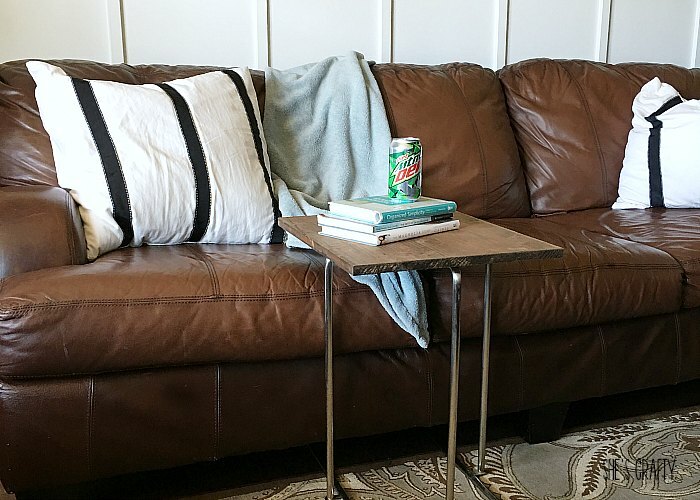 (You can get a similar side table here.) I don't even remember why I bought it since It's not my style at all. 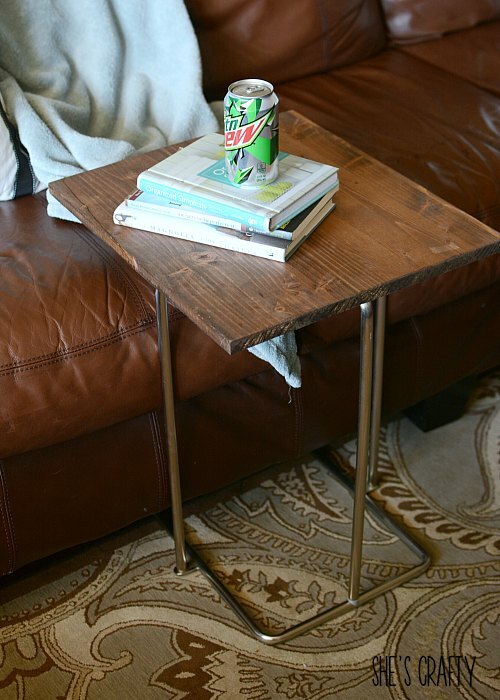 Fast forward a few years and now we need end tables in our living room. We don't have anywhere to sit our drinks or pizza for movie night. 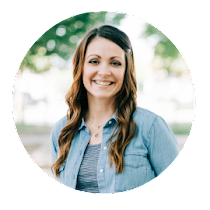 In The Nester's post she talked about a slide under the sofa table that everyone should have in their home. It hit me- I have a slide under the sofa table. It was unused because I didn't like the way it looked. 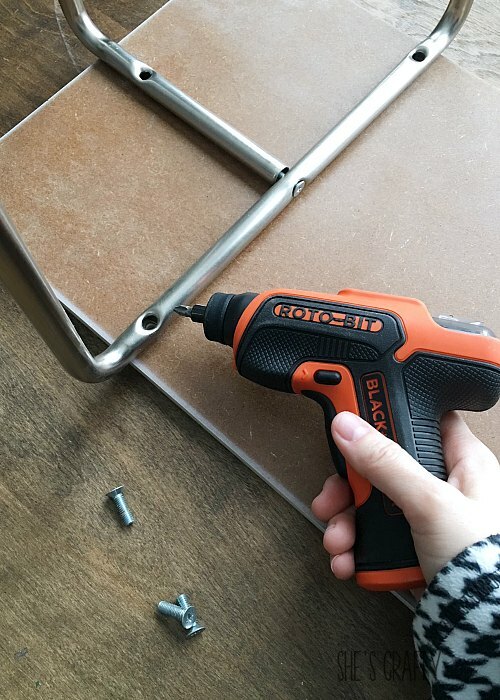 Undo the screws underneath the table with a roto bit screwdriver. 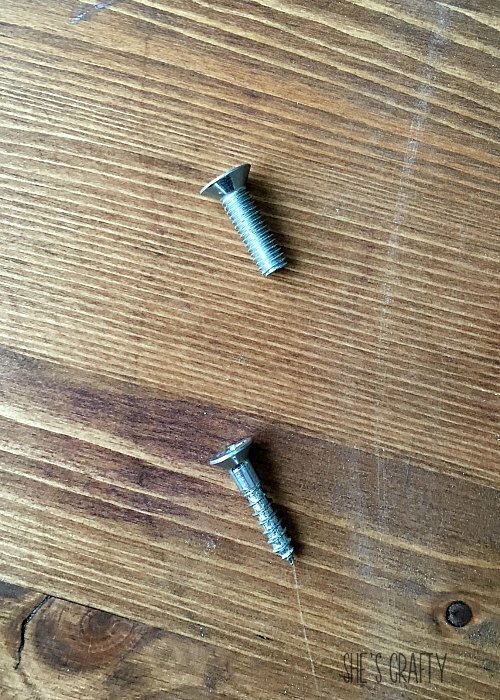 Remove screws and old tabletop. In my wood shop, aka my hot mess garage, I found a pre-stained piece of scrap wood, reclaimed from another project that fit the table legs perfectly. It's like it was meant to be. I used wood screws to attach the new top to the table bottom. And that is it. 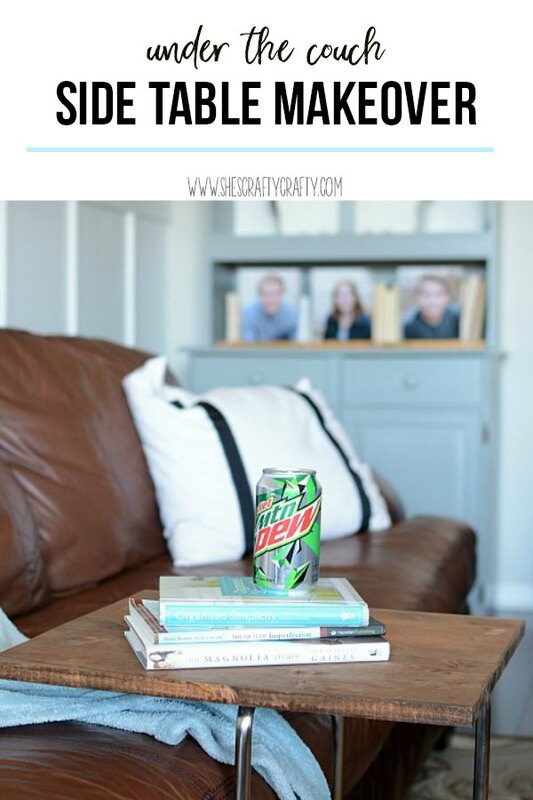 I have a newly refurbished table to set my book and drink on while relaxing on the couch! It slides right underneath my couch. 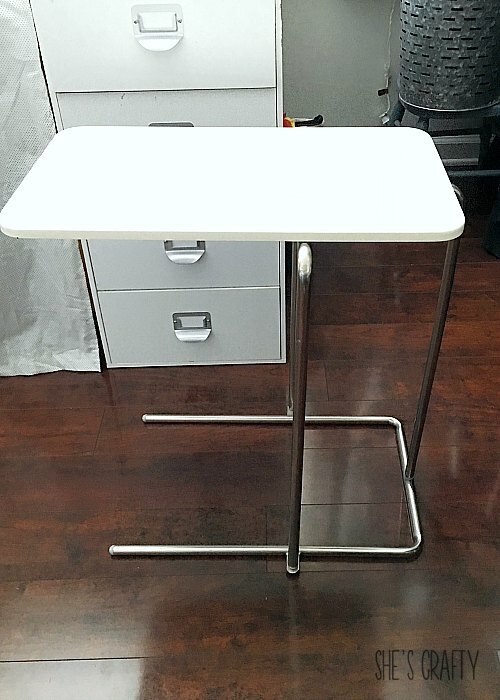 I'm so happy with this table and that I didn't have to buy anything! 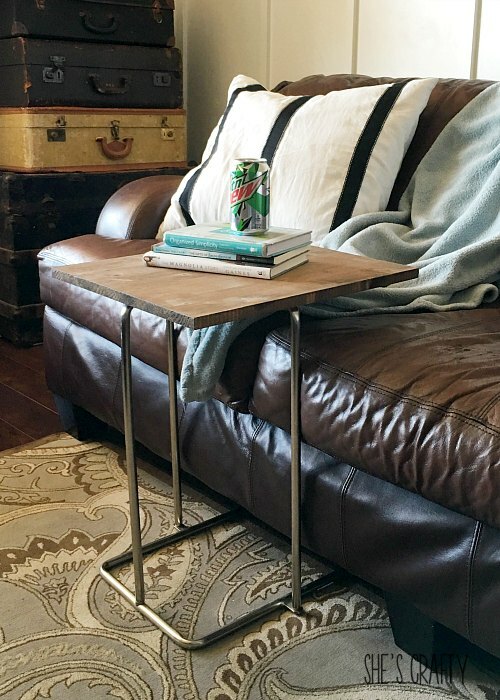 So the next time you are looking for a piece of furniture like an Under the Couch Side Table, look around your home to see if you have items or furniture that can be turned into what you want!! This turned out great! I love the finish on the wood! Thank you Rachel! That stain color is my favorite! 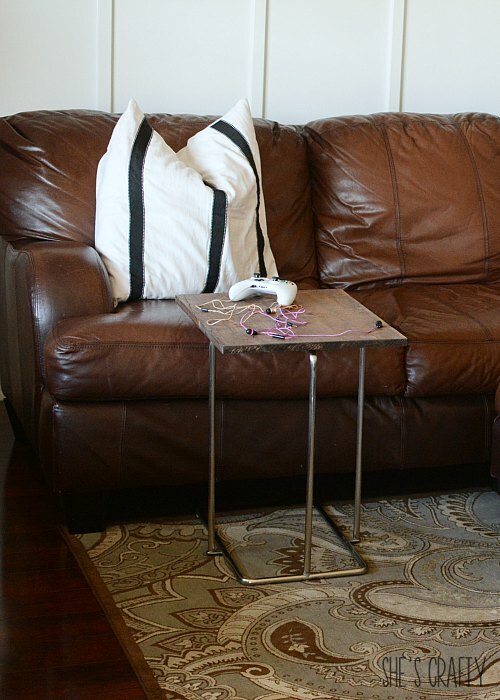 I love how you can move it around and use it at the couch! It's been such a handy little table to have! !